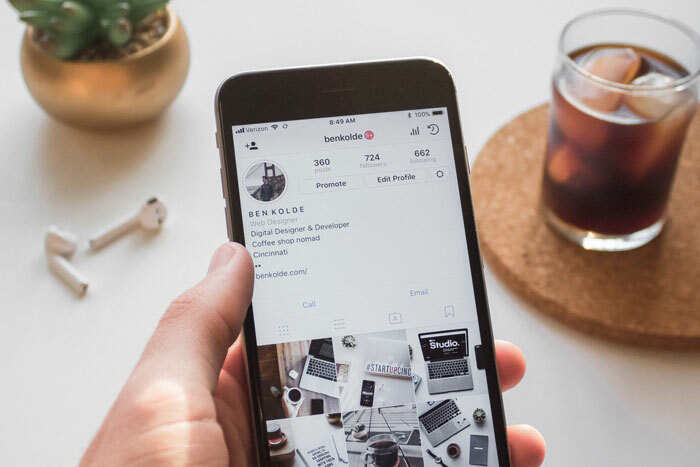 Believe it or not, social media can have an effect on your mental health — especially when you get too caught up in the number of followers and likes. Studies have found an association between social media use and depression, anxiety, sleep problems, eating issues, and increased suicide risk. Plus, the more people spend on social media, the more socially isolated they perceive themselves to be. That’s where Alexa Curtis, social media maven and founder of A Life in the Fashion Lane, comes in. Her expert tips are here to help you protect your state of mind while scrolling through your feed. Fill your feed with positive people and positive messages. This will help ensure you’re only inundated with feel-good posts, even if you’re mindlessly scrolling through your feed for several hours a day. When you start to notice a negative impact on your mental health, don’t be afraid to reach out for help. It can be helpful to confide in a friend or a therapist. There are also other resources if you want to keep it anonymous like the National Suicide Prevention Hotline (1-800-273-8255). Even one day away from social media can make a difference. So delete the apps on your phone for a day, a week, a month — whatever makes you feel best. Keep in mind that what people post on social media doesn’t always represent the whole picture. People post what they want people to see, so you’re only seeing a snippet of their life. As important as it is to unplug, it’s also important to invest your time and energy into the people around you. Think of your family and friends or a cuddle session with your furry pal — those are the things that really matter in the end! Rather than posting a picture seeking validation from others, choose pictures that make you feel good. That way, there’s no room for disappointment if you don’t get the feedback you were expecting. Don’t determine your self-worth by the number of likes or comments you receive on your post. Instagram has such a funky algorithm now, you might get five likes on a post and 500 on another. The point is…who cares?! Avoid putting others down. Think your friend posted a picture that’s a bit too risqué? If you’re close, voice your concern in person, but what she puts online is her decision, not yours. We all have different opinions, and that’s OK.
Who Knew These Dishes Could Be Made Healthy?